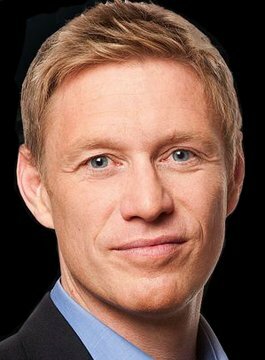 Simon Lazenby is an F1 presenter for Sky Sports. Lazenby joined Sky Sports in April 1998 initially on a three month work experience scheme. Following a screen test with Sky Sports News, he became the presenter of The Rugby Club and Sky’s live rugby union coverage. Simon was the lead rugby presenter at Sky Sports between 2002 and 2011. During that period he was the lead presenter on two British and Irish Lions Tours, 10 Heineken Cup Finals and international matches from all around the world. A keen all round sports interest has also allowed Simon to present England Test matches for Sky Sports Cricket coverage as well as European Tour Golf events, ATP tennis tournaments and the Poker Million. Simon studied Natural Sciences at Durham University and captained the college rugby team. A scrum-half, Simon’s greatest sporting moment was beating Sri Lanka on route to winning the Alain Seven’s Plate in Dubai. Born in Calgary, Canada, Simon Lazenby spent his childhood country-hopping due to his father’s internationally-based job. Having lived in Canada, Australia, America and Scotland, Simon now lives in South-West London.